1. Deep South Magazine and their #literaryfriday: John Grisham news, Southern Lit Lovers at Goodreads will be chatting with Sarah Addison Allen in November, and Eudora Welty chit-chat. Plus MUCH more! 2. If you didn’t hear, Deep South Magazine and Traveling With T are partnering up for THE SILENT SISTER readalong. Week 1 questions/thoughts/spoilers are up now! 3. Always With A Book reviews WINTER STREET by Elin Hilderbrand- see what she has to say about the Queen of Summer Reading! 4. Tanya @ Mom’s Small Victories and Helen @ My Novel Opinion are working together on a feature titled Be Our Guest! Each week, they have a special guest post from someone in the bloggy world- last week Tanya had Adria Cimino talking about challenges new writers face! 5. Two reviews were posted at Traveling With T: VINTAGE by Susan Gloss and TRUTH BE TOLD by Hank Phillippi Ryan. Have a wonderful weekend! And if you are participating in the Dewey’s Readathon- GOOD LUCK!! 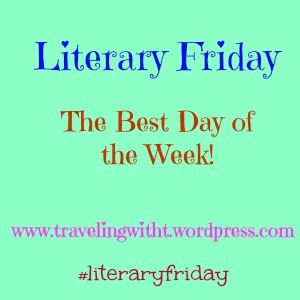 Thanks so much for the shout out to my and Helen’s Be Our Guest Fridays feature! We look forward to having your post featured. I will check out the Silent Sister Readalong after I finish my review. Almost done! You are so welcome! I’m eager to see all the people you feature! And I can’t wait to see you in The Silent Sister Readalong!